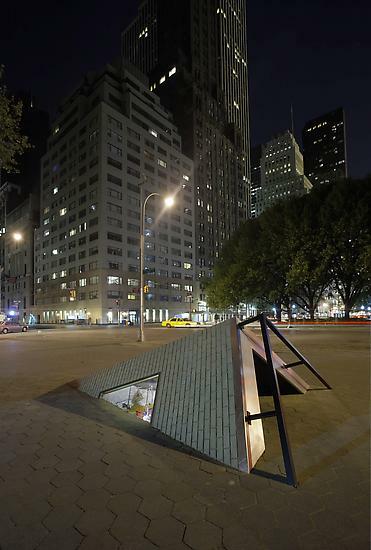 Installation view Doris C. Freedman Plaza, New York, NY, 2006. 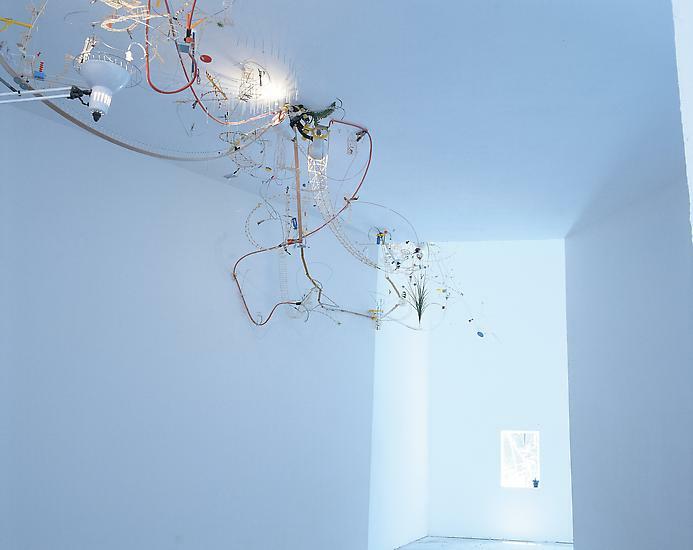 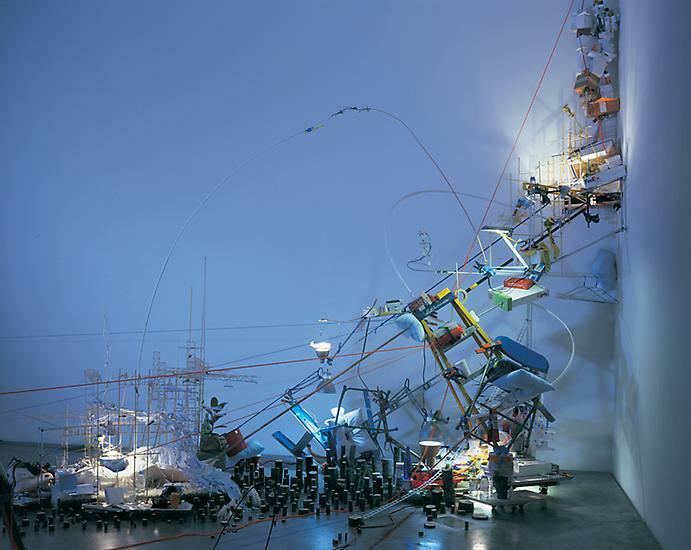 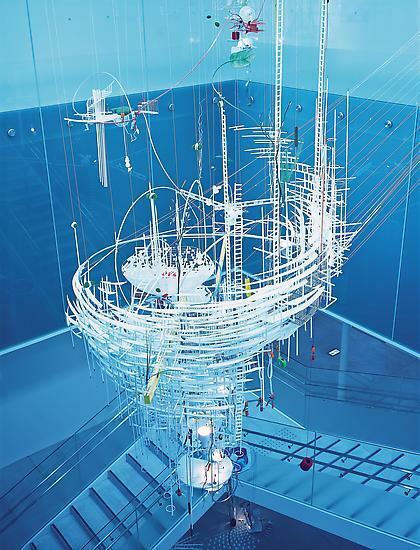 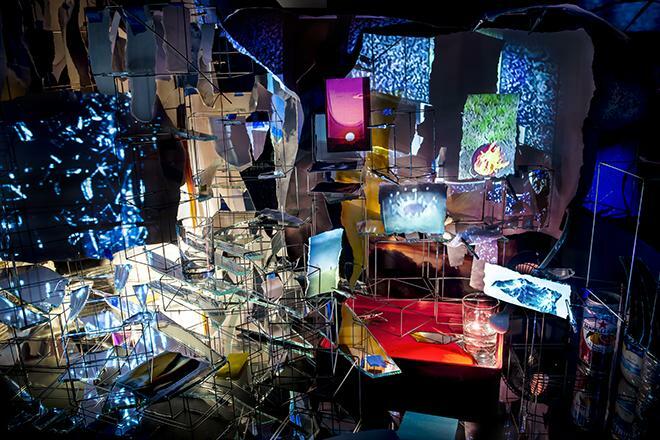 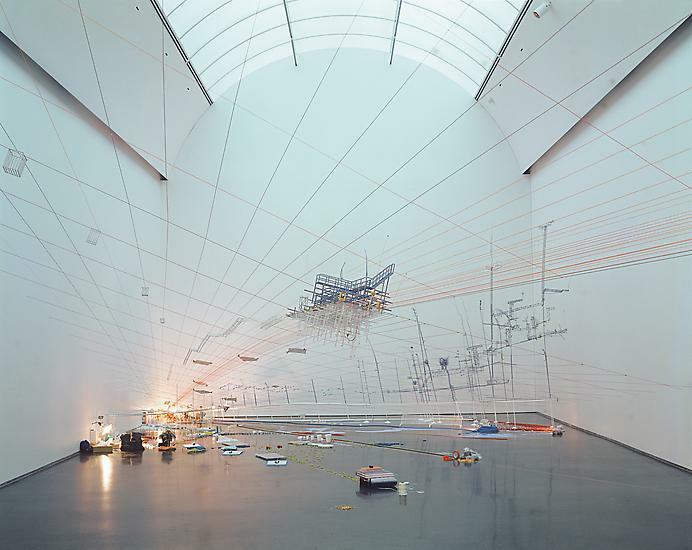 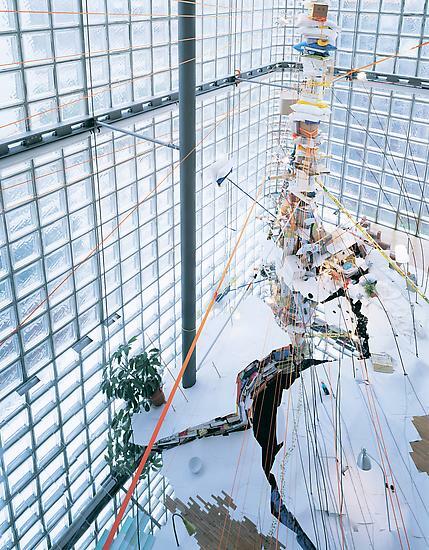 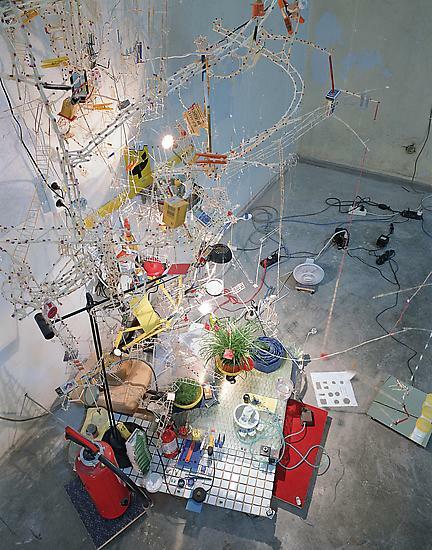 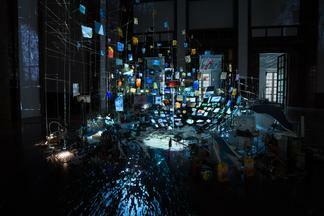 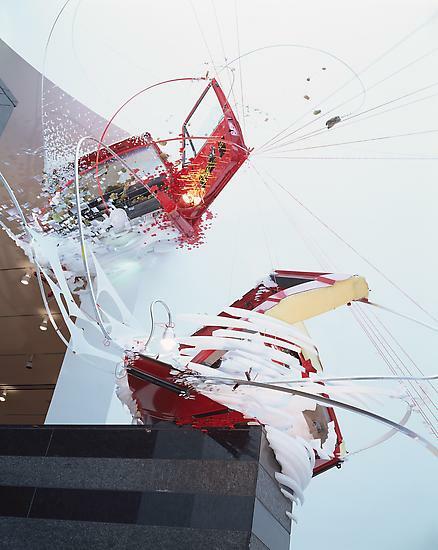 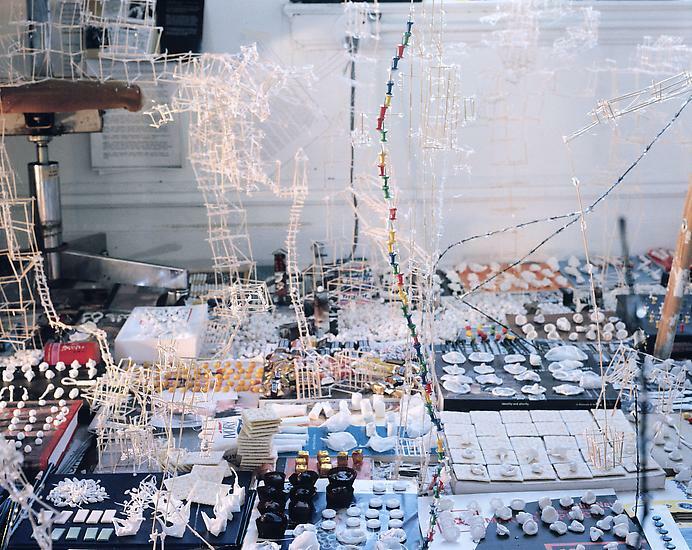 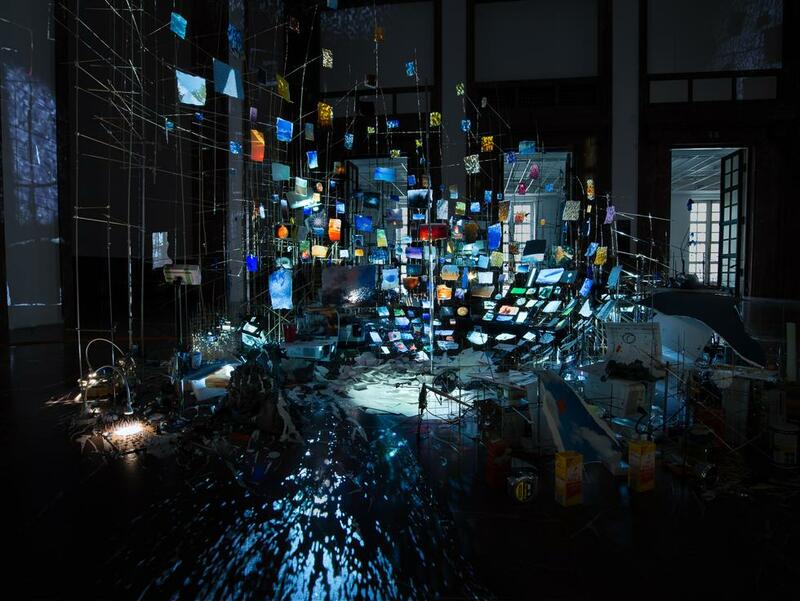 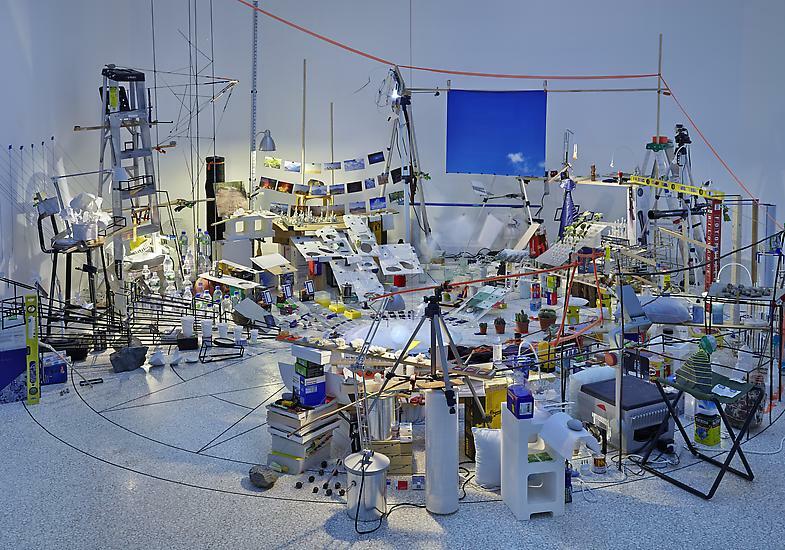 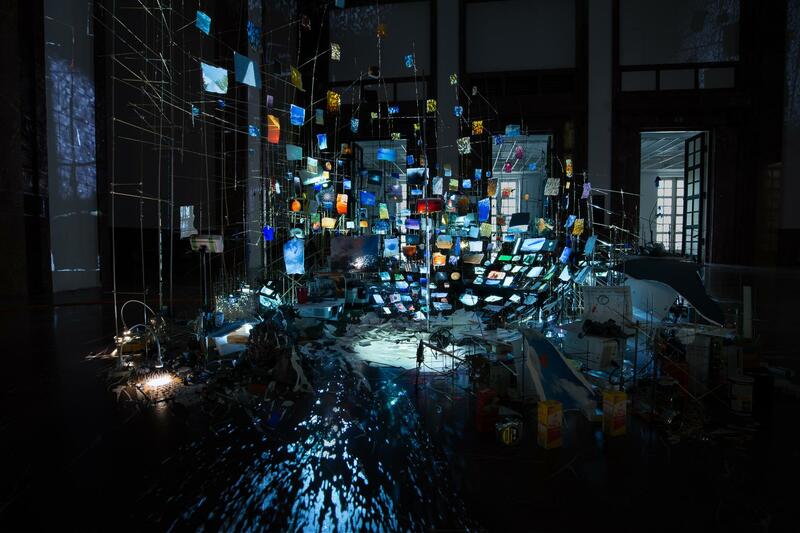 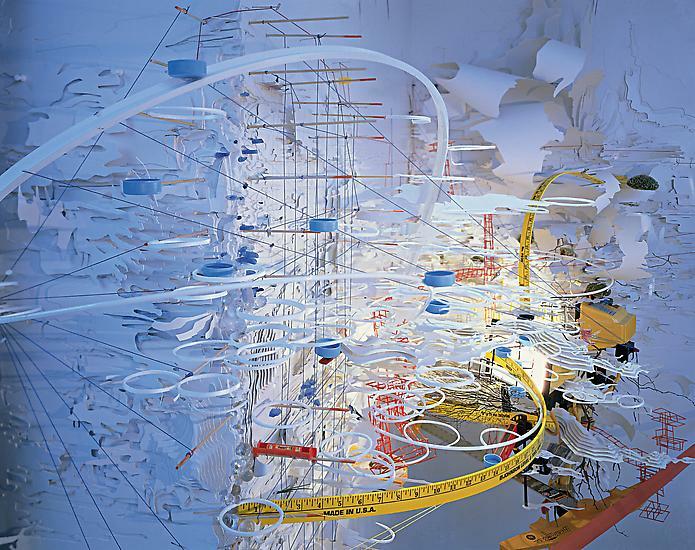 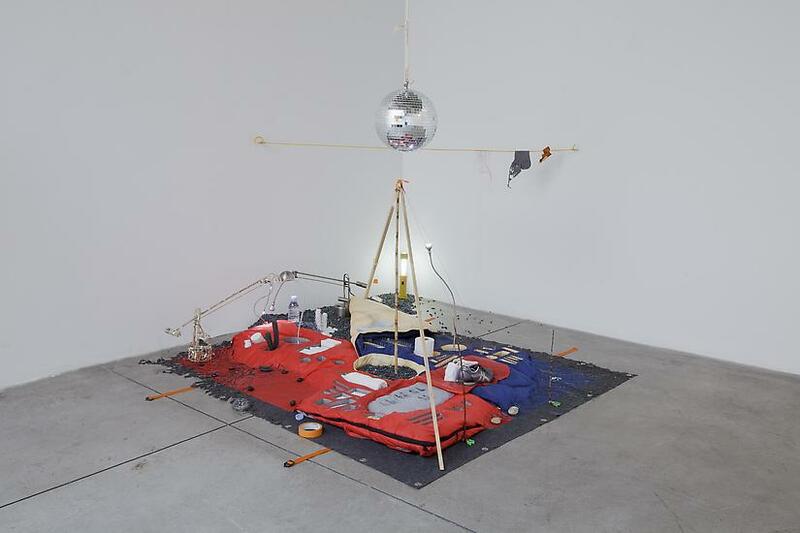 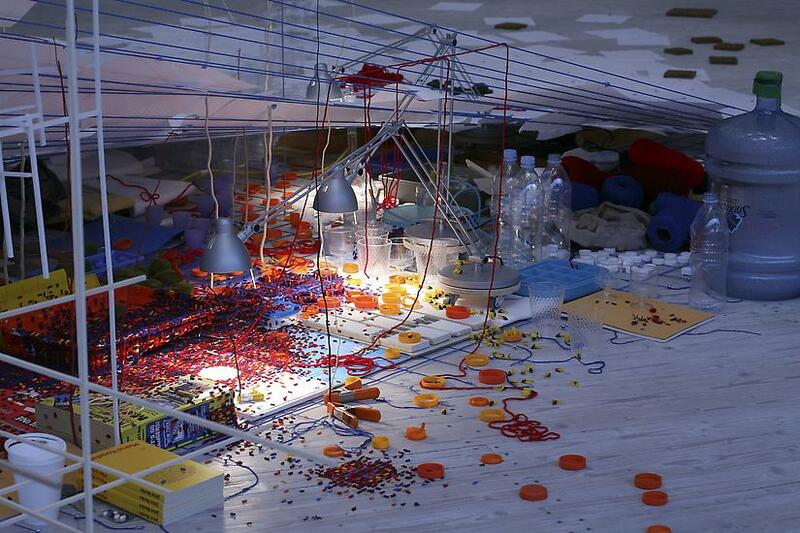 Sarah Sze's work attempts to navigate and model the ceaseless proliferation of information and objects in contemporary life. 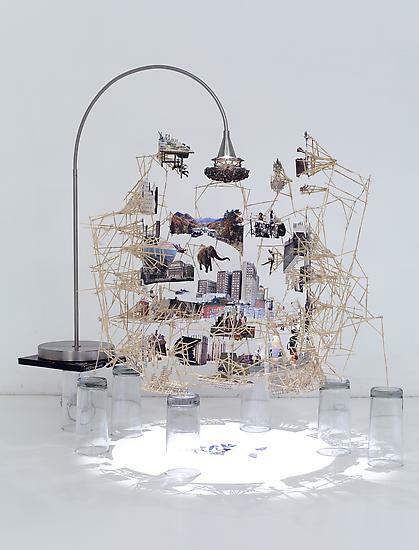 Incorporating elements of painting, architecture, and installation within her sculpture, Sze investigates the value we place on objects and explores how objects ascribe meaning to the places and times we inhabit. 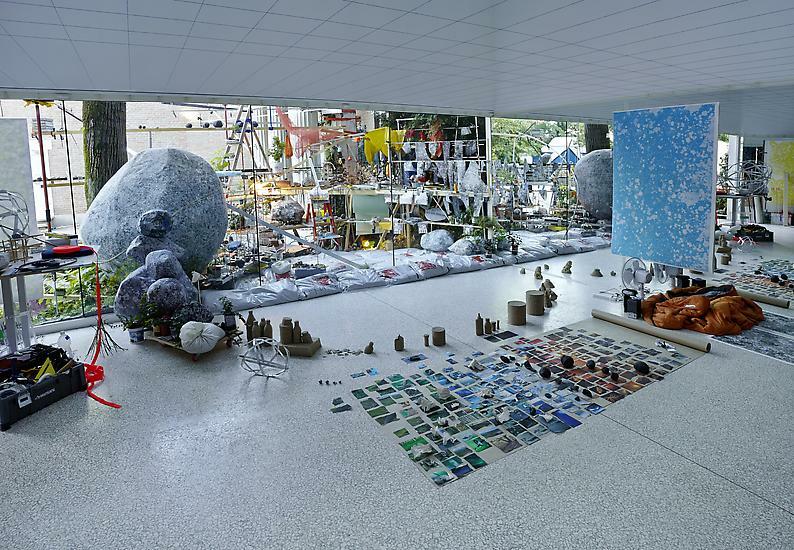 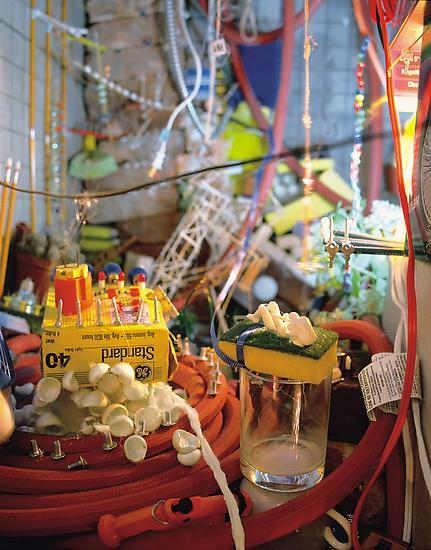 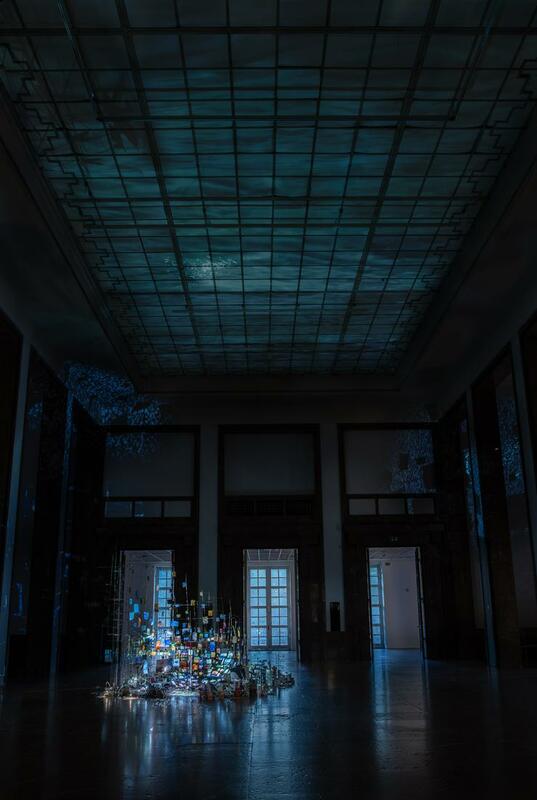 The artist employs a constellation of everyday materials in her work, ranging from found objects and photographs to handmade sculptures and living plants, creating encyclopedic and accumulative landscapes that penetrate walls and stretch across museums. 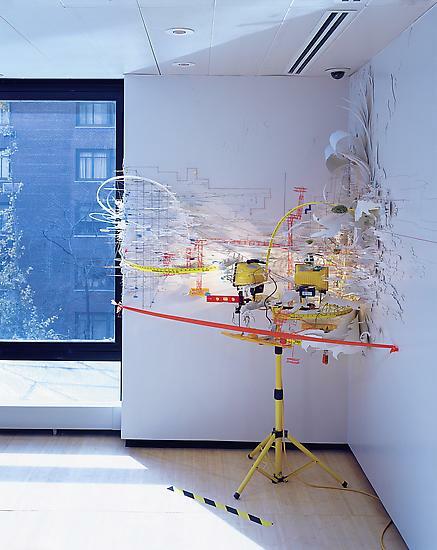 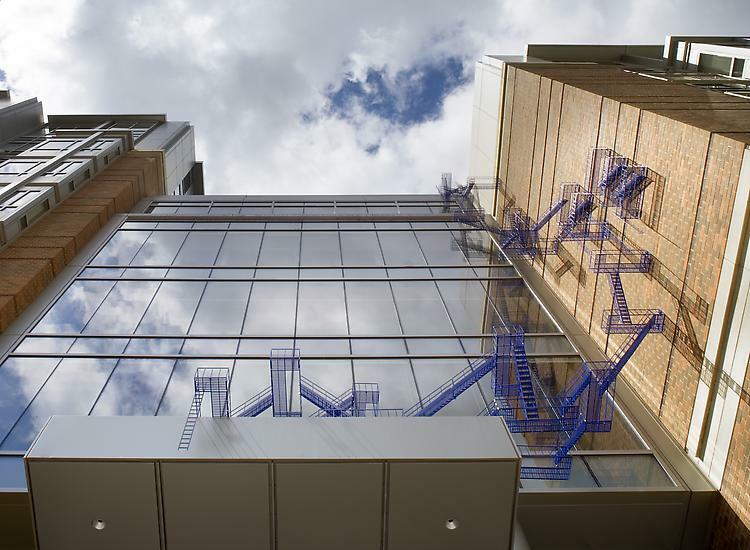 Her work often takes on architectures, transforming space through radical shifts of scale or colonizing overlooked and peripheral spaces. 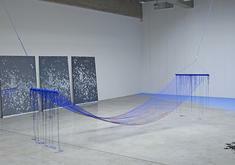 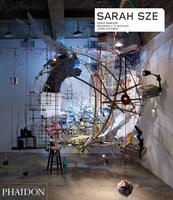 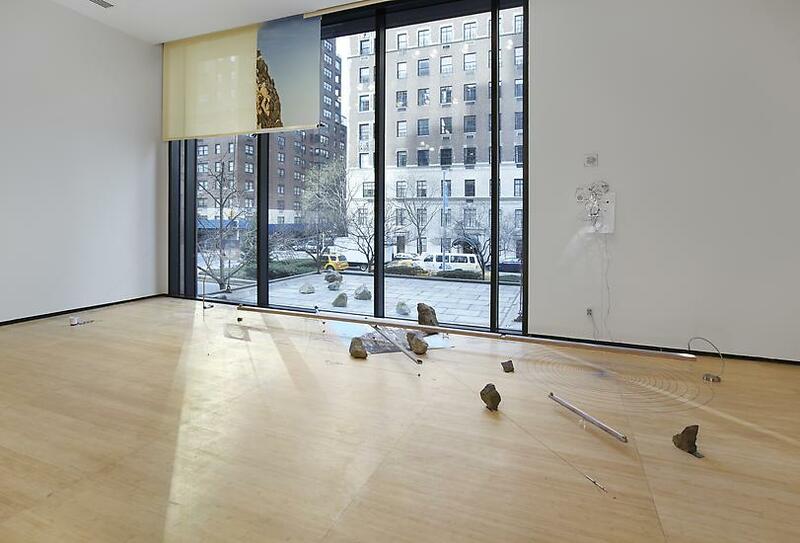 Sze sees sculpture as evidence of behavior and she leaves her own raw process of experimentation apparent in her work. 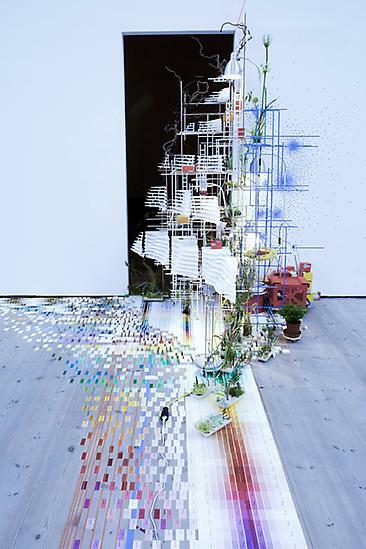 As a result, her pieces often seem to hover in a transitional state, as if caught between growing and dying. 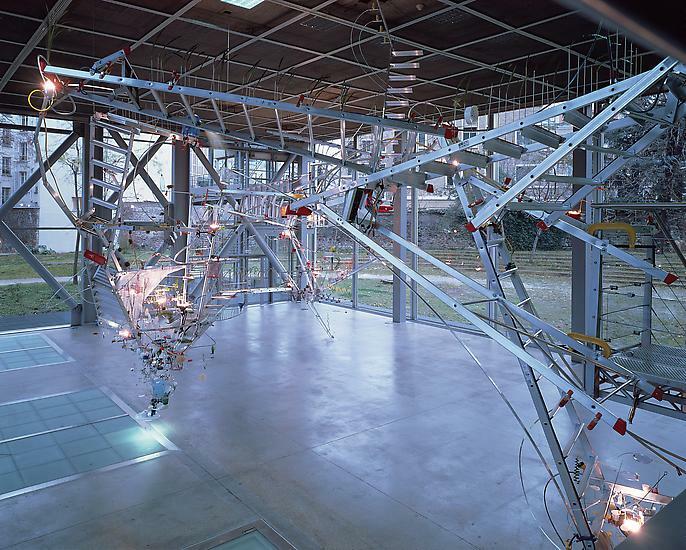 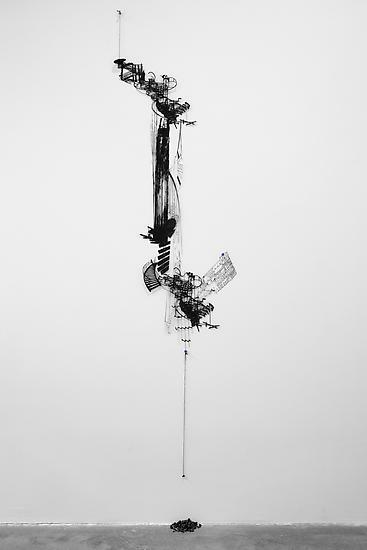 Captured in this suspension, the works become self-perpetuating systems, seemingly capable of aspiration, decay, and renewal. 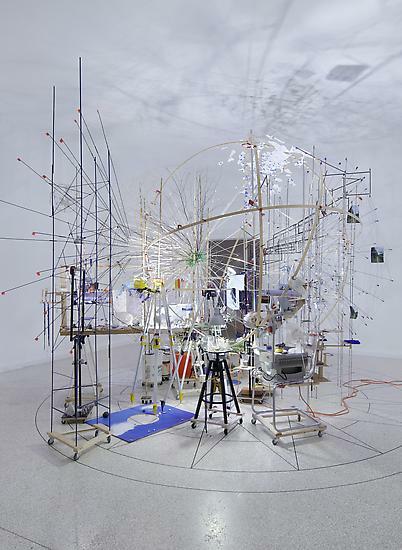 Like the scientific instruments of measurement they often reference, Sze's sculptures attempt to quantify and organize the universe, ascribing a fragile, personal system of order. 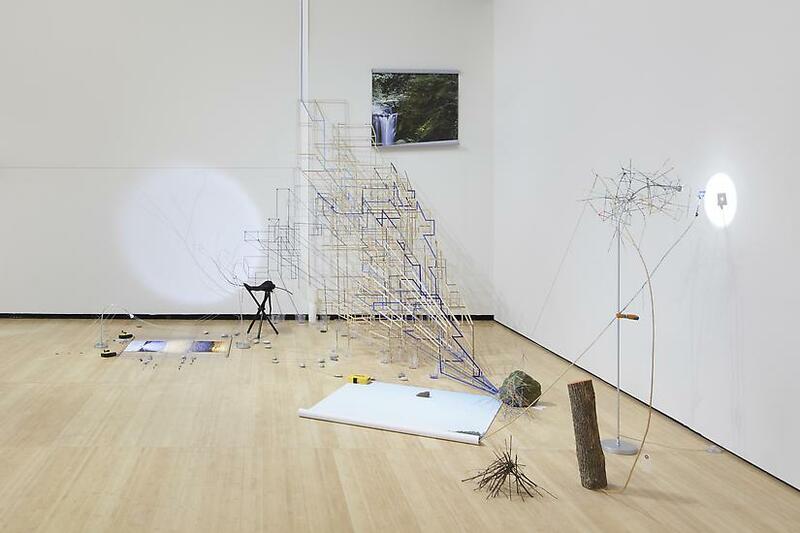 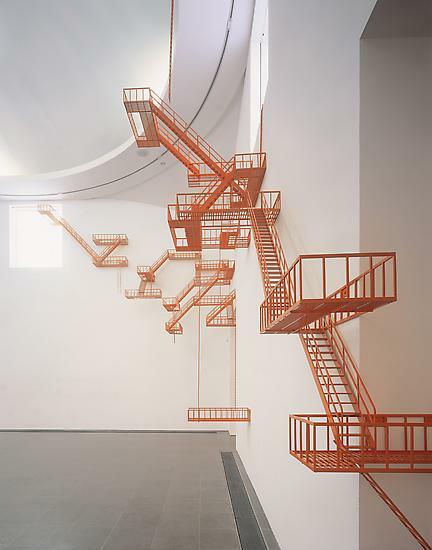 Within her practice, sculpture becomes both a device for organizing and dismantling information and a mechanism to locate and dislocate oneself in time and space. 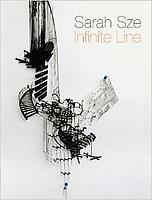 Born in Boston in 1969, Sze presently lives and works in New York. 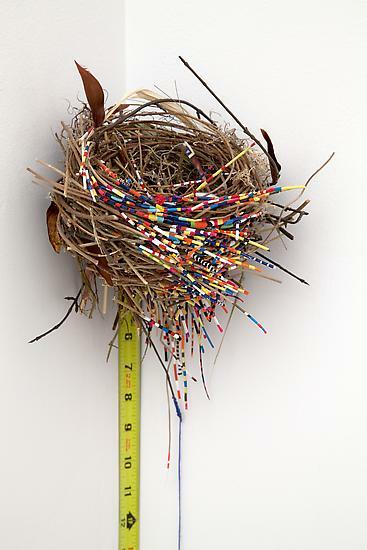 She received a BA from Yale University in Connecticut in 1991 and an MFA from New York’s School of Visual Arts in 1997. 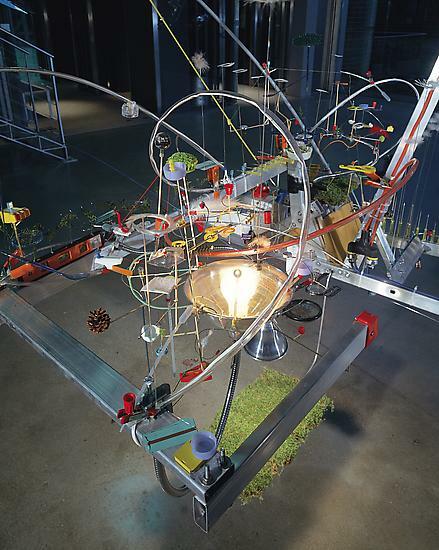 She is a 2003 MacArthur Fellow. 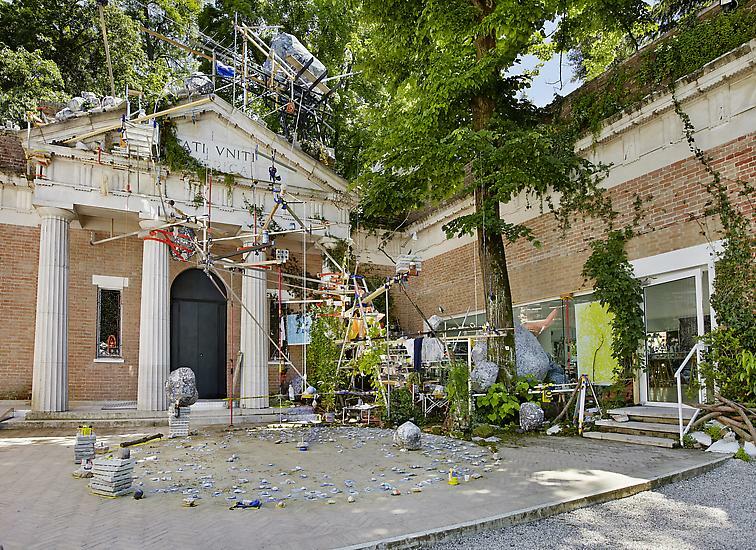 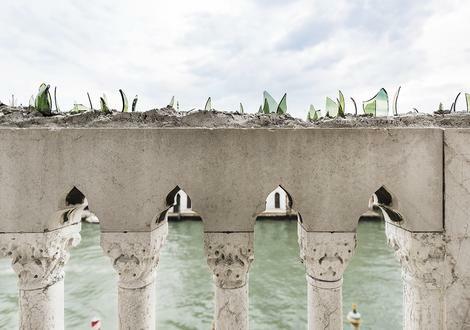 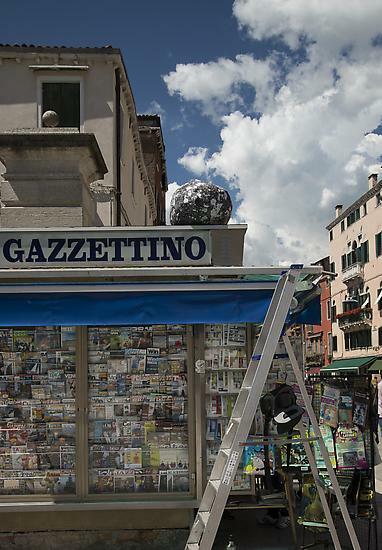 In 2013, Sze represented the United States at the 55th Venice Biennale with a solo pavilion presentation entitled Triple Point. 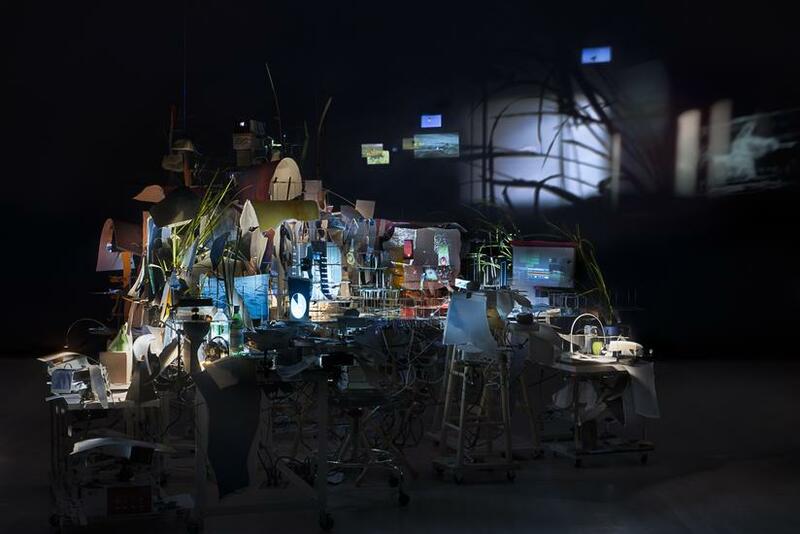 Other important solo exhibitions include Fabric Workshop and Museum in Philadelphia (2014), Asia Society in New York (2011-12), Baltic Centre for Contemporary Art in Newcastle, UK (2009), Malmo Konsthall in Sweden (2006), Whitney Museum of American Art in New York (2003), Museum of Fine Arts in Boston (2002), Walker Art Center in Minneapolis (2002), Museum of Contemporary Art in Chicago (1999), Foundation Cartier in Paris (1999), and the Institute of Contemporary Arts in London (1998). 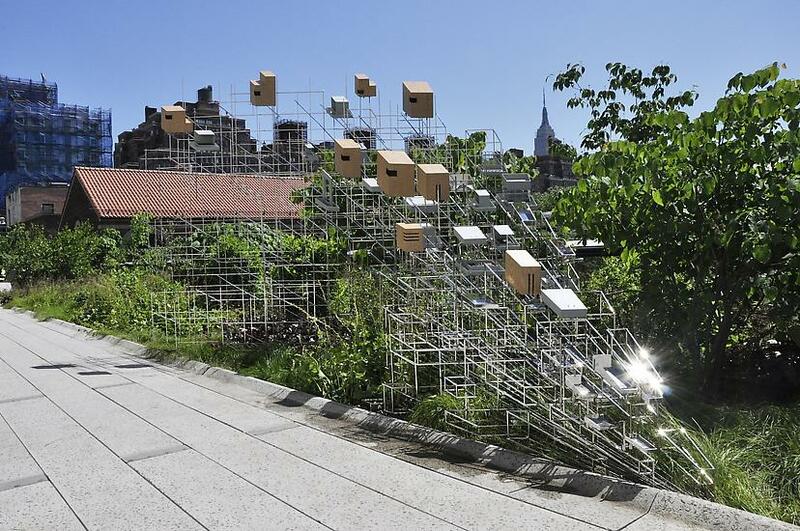 She has conceived major public commissions at New York City’s High Line Park (2011-12), the Doris C. Freedman Plaza in New York City, organized by the Public Art Fund (2006), and the Massachusetts Institute of Technology in Cambridge (2004), and most recently for the New York Metropolitan Transportation Authority’s 2nd Avenue subway line, 96th street station, New York. 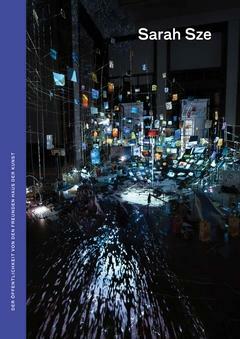 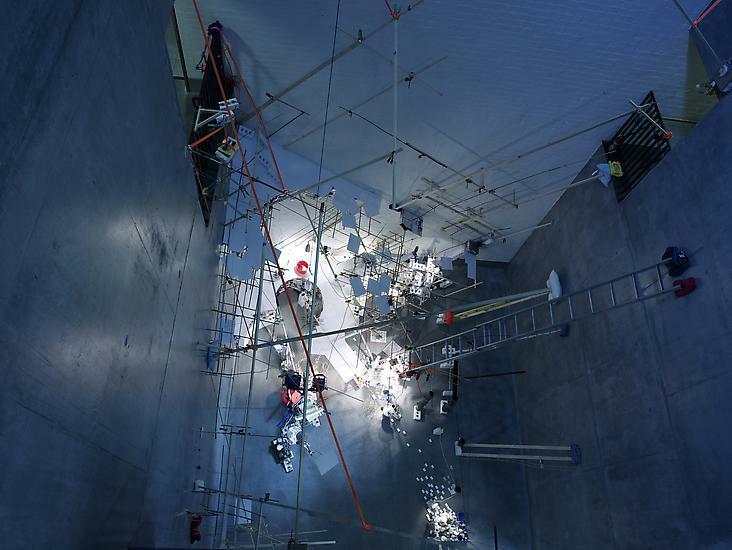 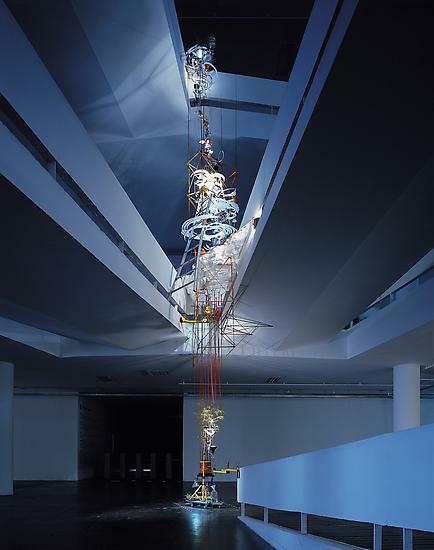 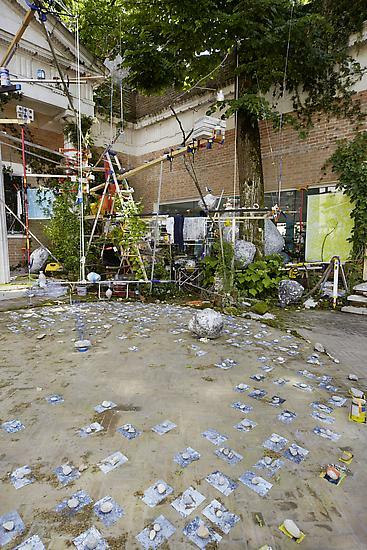 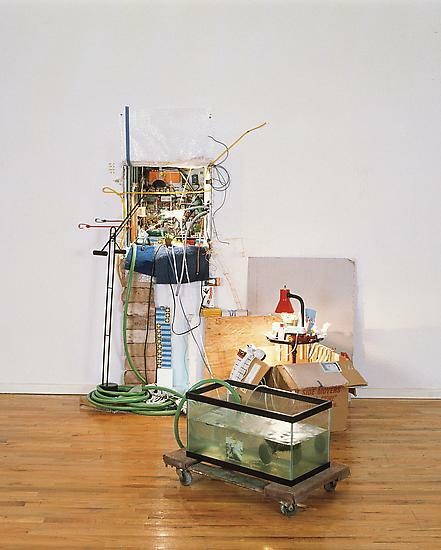 Sze’s sculptures, installations and works on paper have also been exhibited at the Solomon R. Guggenheim Museum in New York, the Serpentine Gallery in London, the Museum of Modern Art in New York, the Museum of Contemporary Art in Tokyo, the High Museum of Art in Atlanta, the San Francisco Museum of Modern Art, Haus Der Kunst in Munch, Copenhagen Contemporary in Copenhagen, and the Carnegie Museum of Art in Pittsburgh, as part of the 1999 Carnegie International. 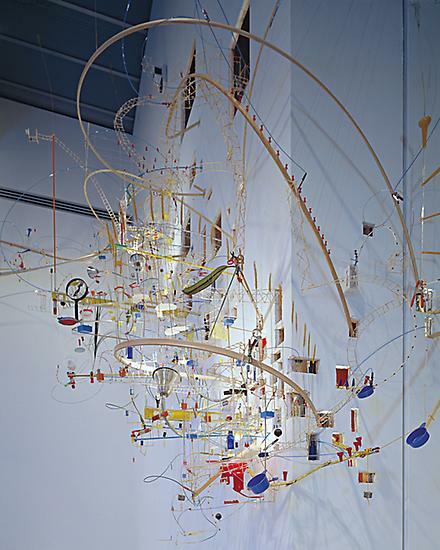 Her work is well represented in important private and public collections worldwide, including those of New York’s Guggenheim Museum, and Museum of Modern Art, The New Museum, and Whitney Museum of American Art, along with the Museum of Contemporary Art, Chicago, 21st Century Museum of Art in Kanazawa, Japan, Walker Art Center in Minneapolis, Boston Museum of Fine Arts, High Museum of Art in Atlanta, GA, Tate Collection, London and the Los Angeles Museum of Contemporary Art. 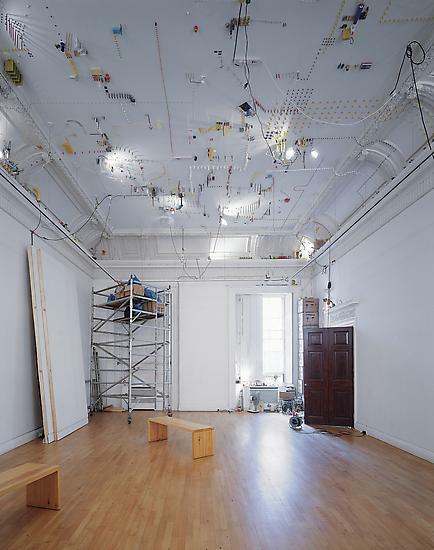 The Bronx Museum of the Arts / Gregory R. Miller & Co.